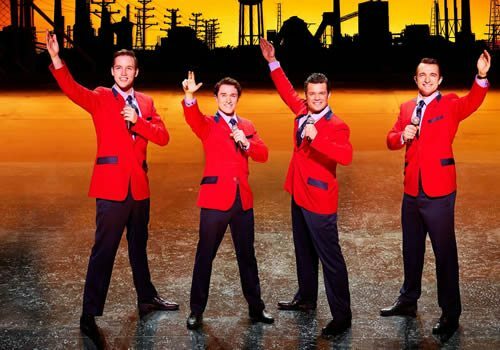 Scooping over 50 international awards, including 4 Tony Awards and an Olivier Award for Best New Musical, Jersey Boys has been highly praised by audiences and critics alike. Transferring from Broadway to London's Prince Edward Theatre in 2008, Jersey Boys enjoyed tremendous success, later transferring to the Piccadilly Theatre, where it has become a West End classic. 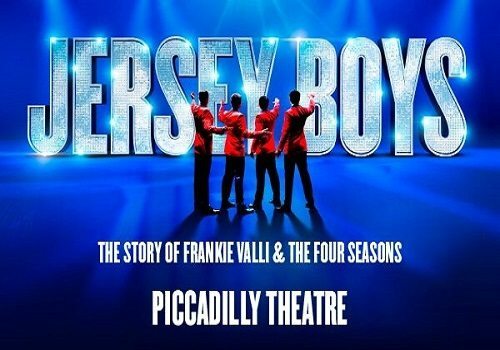 Jersey Boys is the retelling of the personal and public lives of 1960’s American rock and pop sensations Frankie Valli and the Four Seasons, using their most iconic songs to create a smash-hit jukebox musical. Unlike other jukebox musicals such as Mamma Mia! and We Will Rock You, Jersey Boys is based on a true, and at times heartbreaking story, following the happy formation of the Four Seasons, as well as the band's demise. 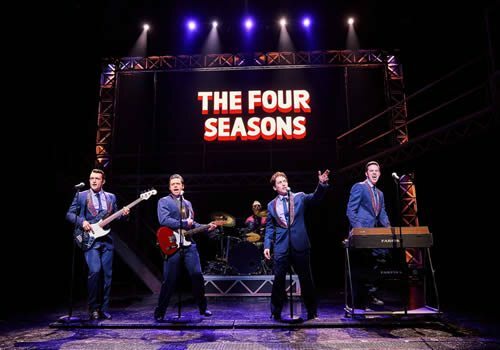 Packed with the trials and tribulations of love, lust, loss, difficult break ups and divorce, Jersey Boys gives audiences a real insight into the Four Seasons' history. Delving into the life of America's biggest rock 'n' roll stars, this is not a musical to be missed. With music by Four Seasons member Bob Gaudio and lyrics by the band's producer Bob Crewe, Jersey Boys features endless hits from the band's back catalogue, including "December, 1963", "Sherry", "Who Loves You", "Working My Way Back to You", "Big Girls Don't Cry", "Can't Take My Eyes Off You" and "Bye Bye Baby", amongst many others. Performed live on stage in the classic red-suited outfits, these are recognisable classics that will have you dancing in your seat. Directed by Des McAnuff, Jersey Boys features a book by Marshall Brickman, choreography by Sergio Trujillo, design by Klara Zieglerova, costume by Jess Goldstein, lighting by Howell Binkley and sound by Steve Canyon Kennedy. A smash-hit jukebox musical, Jersey Boys is a West End classic that is not to be missed - closing at the Piccadilly Theatre March 26th 2017. 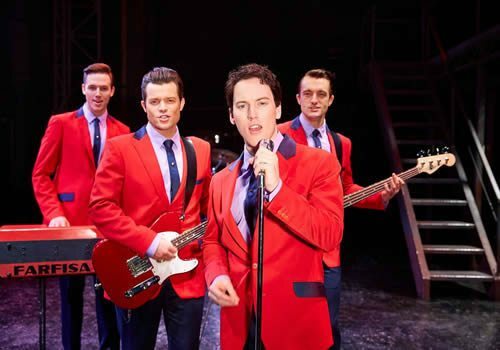 Jersey Boys is based on the real life story of rock ‘n’ roll stars, which means it often contains strong language and content that is considered to be of an adult nature. For this reason Jersey Boys is not suitable for children under 12 years old. 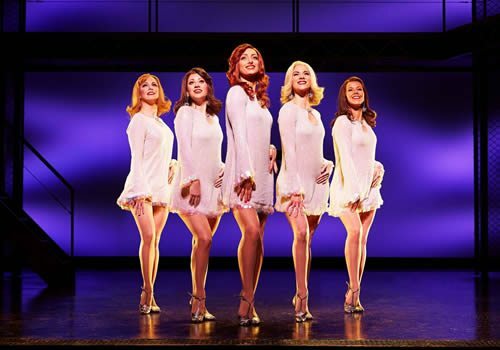 Click here for the Piccadilly Theatre seating chart and seat price guide.